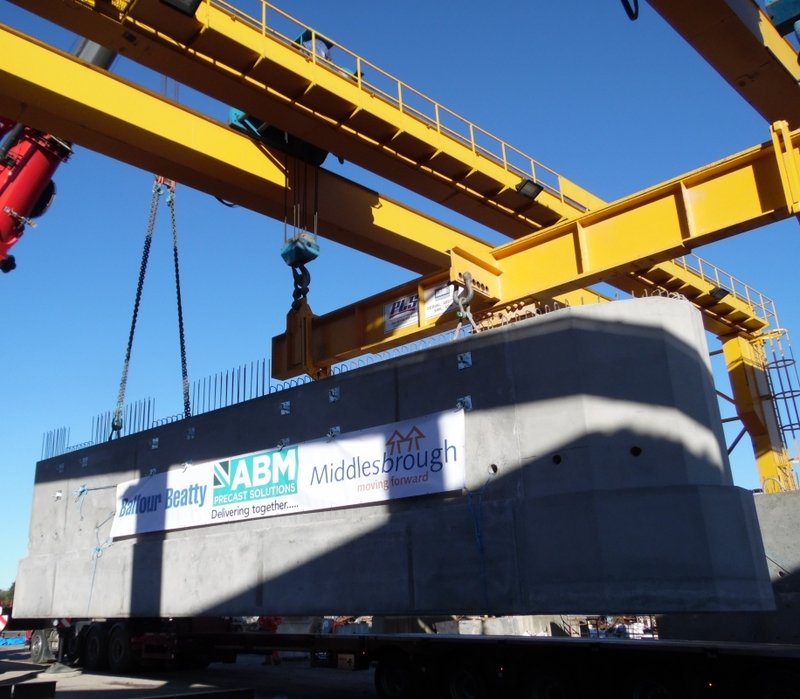 The first 92 tonne, 13.5m long central pier units being loaded for delivery at ABM’s North Nottinghamshire plant. 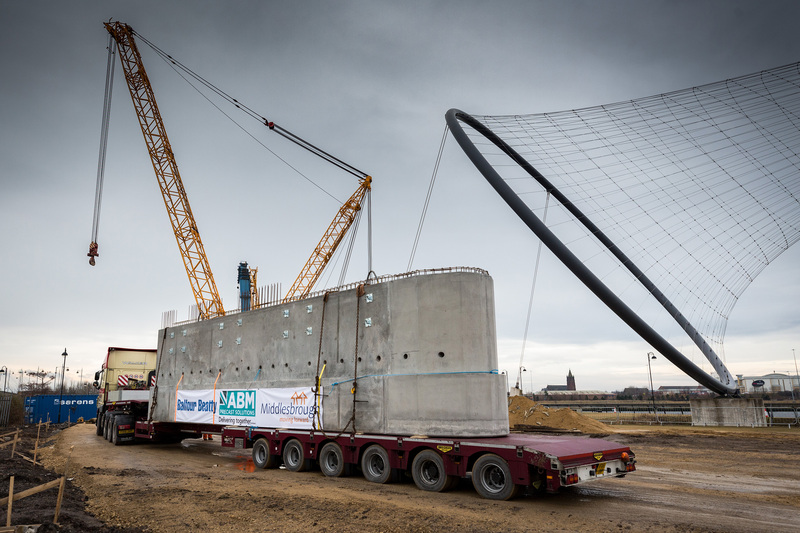 ABM Precast Solutions recently delivered the first precast components for the new Manhattan Gate Bridge in Middlesbrough. 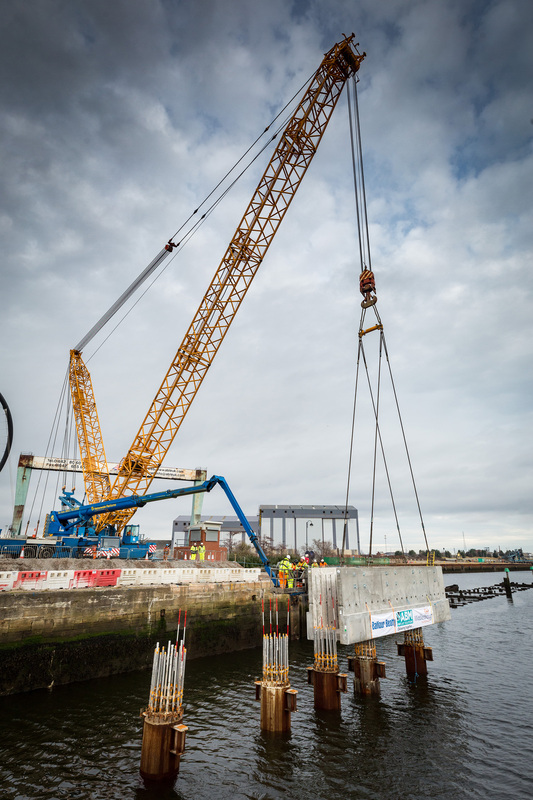 The two 82 tonne precast central pier units were successfully installed on to tubular steel pile foundations in the entrance to the Middlehaven Dock next to the town’s the Riverside Stadium. 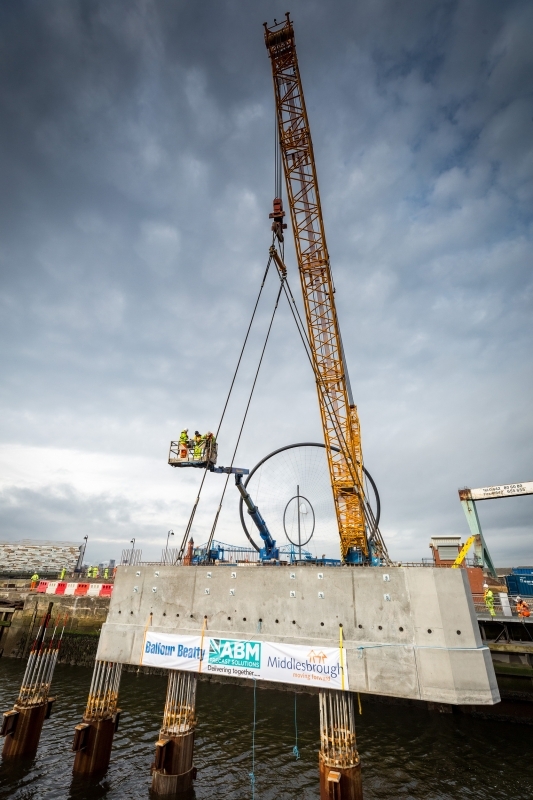 A close co-operation between ABM Precast Solutions, Balfour Beatty (the main contractor) and the scheme’s designer’s, Arup led to the maximisation of the use of precast concrete to enable construction in the tidal dock entrance with the minimum of temporary works. 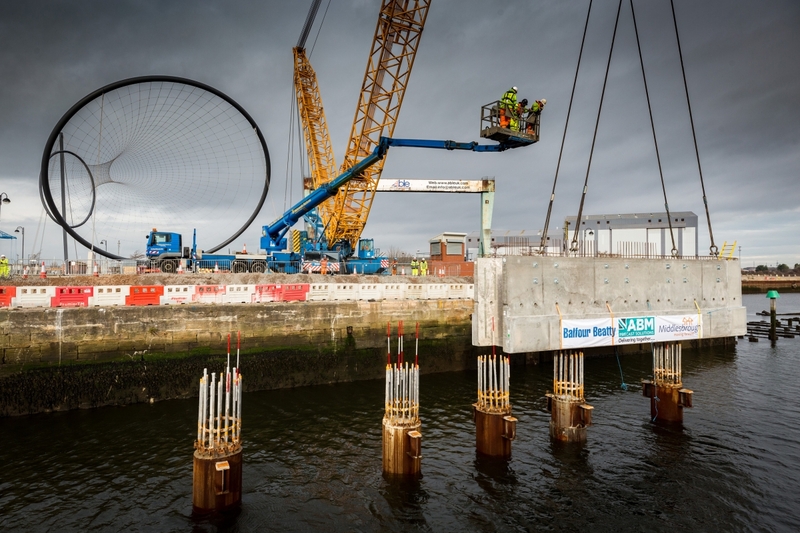 The Central Pier units will be partially filled with in-situ concrete prior to connection of the surrounding, protective ‘Skirt’ which will be made up of sixteen 5.8m high precast units which will extend the structure to below the low tide level. In addition to the main pier ‘shell’ units, more than 600 tonnes of prestressed and reinforced precast concrete units will be used to complete the pier and fixed span of the bridge. 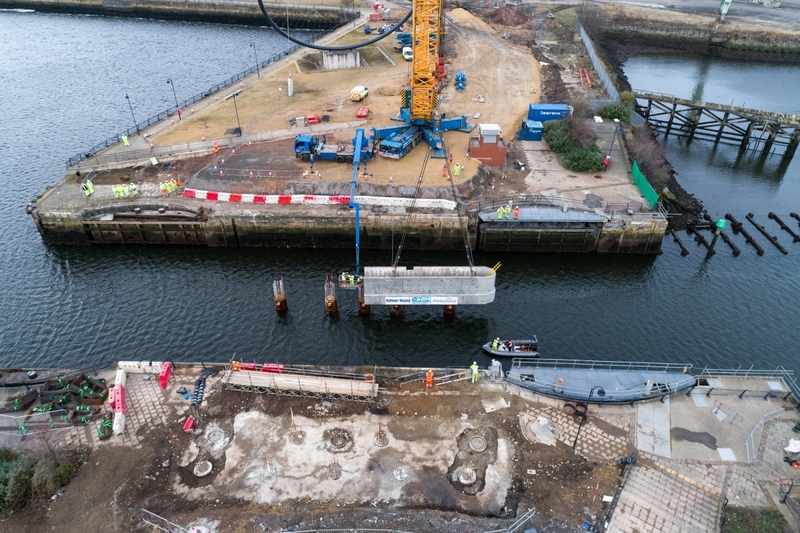 When completed, the bascule bridge will maintain access to the dock and allow the continued redevelopment of the Middlehaven area including a proposed £30m snow centre for the dock’s north side and regeneration of the dock as a marina and centre for water sports and leisure use. 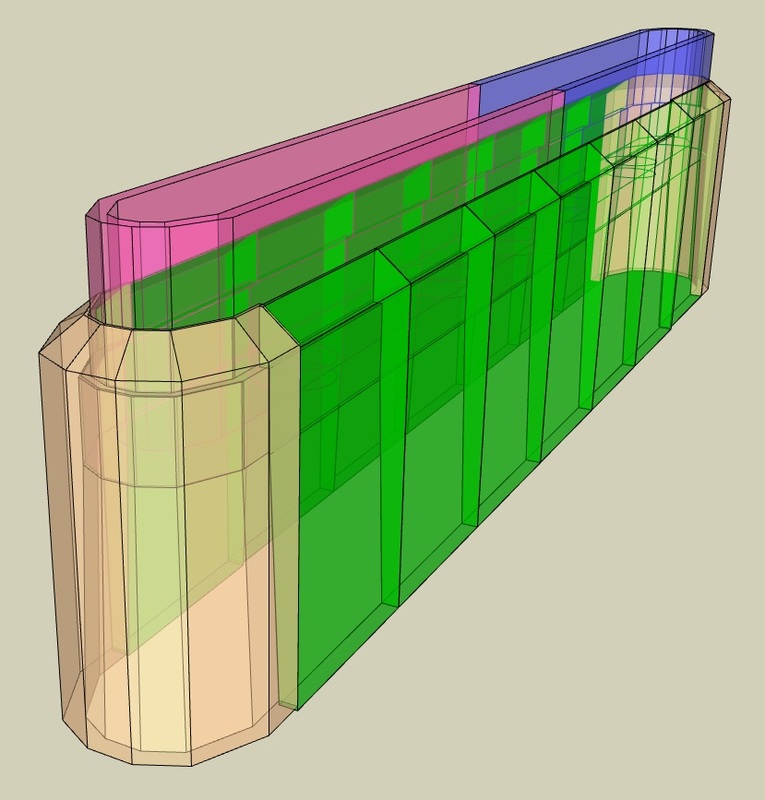 Collaborative development, manufacture and delivery of bespoke large precast concrete units.